Gota Patti or Gota kaam is type of metal(golden or silver) embroidery which originated in Rajasthan. 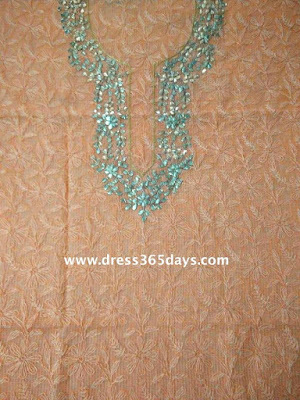 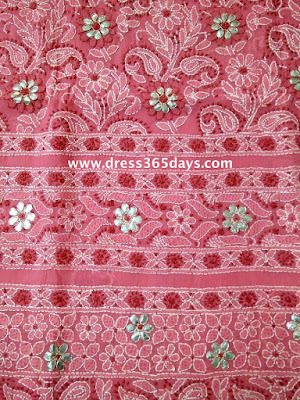 It is a form of applique work and is used to adorn fabrics like cotton, chiffon and pure georgette. 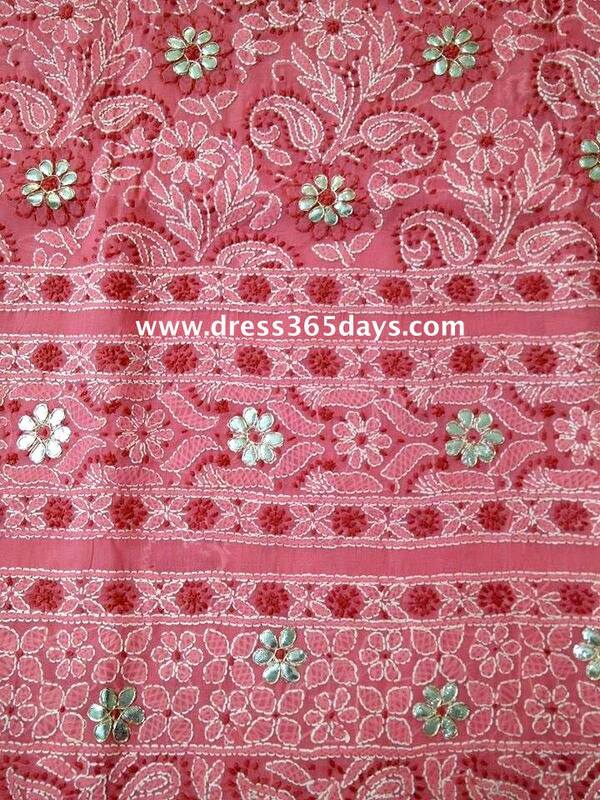 It includes a metal ribbon of different shapes like floral or other motifs and is then back stitched onto the fabric. 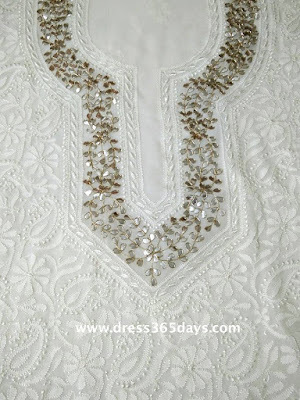 In Chikankari Fabrics Gota Patti is widely used to make the cloth more exclusive and can be worn on special occasions. 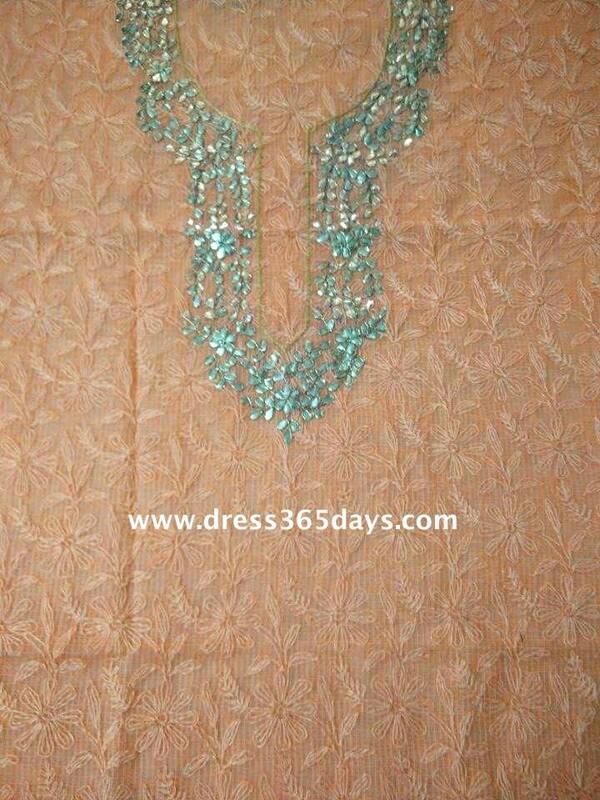 Gota Patti on neckline of suits looks very appealing. 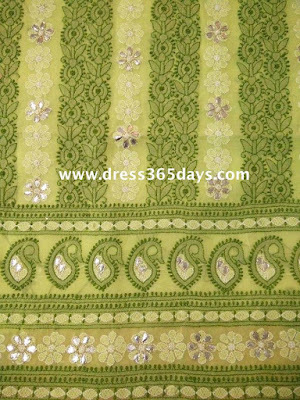 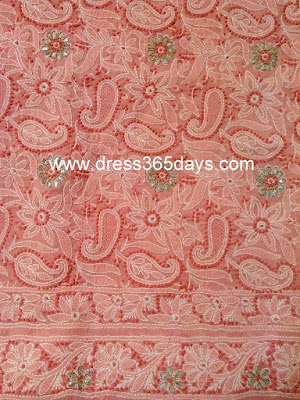 On cotton suits small floral gota patti patches add charm to the chikan fabric. 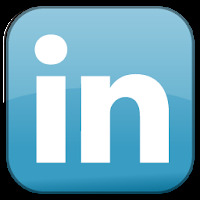 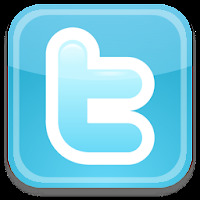 Nowadays top Designers are using this technique for their collection also.